In place of my regular knitting post (which I currently have no fodder for) here's a way-overdue round-up of some books I couldn't finish. 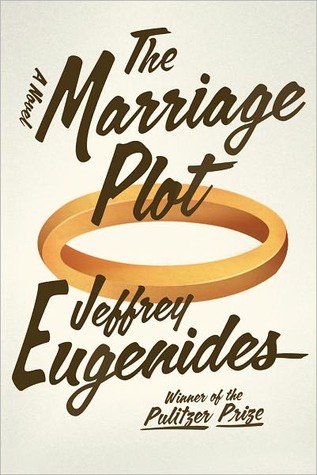 In the newest novel from Jeffrey Eugenides (author of The Virgin Suicides and, my favorite, Middlesex) we meet Madeleine, Leonard, and Mitchell, a bunch of pretentious intellectuals finishing up college and philosophizing about semiotics. Sounds a blast, doesn't it? I guess the book goes on to chronicle their love triangle throughout the 1980s but I couldn't be bothered with it. The characters were flat and lifeless, though distinctively snobby and academic, and completely void of personality. They were self-absorbded in the worst way, but I can't imagine why since they were all so utterly uninteresting. I still don't understand what semiotics is, but every time there was a lengthy quote from Derrida's "Of Grammatology" or Barthes' "A Lover's Discourse, my eyes glazed over. I made through about 80 pages before deciding to stop torturing myself. I cannot for the life of me understand why this book has been so popular. The critical reviews are glowing, but this is the dullest most pretentious piece of crap I've had the misfortune to come across in a really long time. It's especially disappointing given how much I loved Eugenides' last book, Middlesex. If you read this and liked it, please tell me why - I really want to understand the appeal. 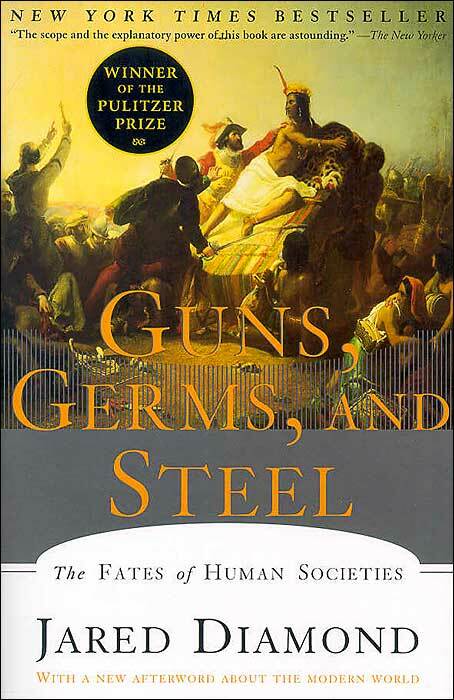 This book by Jared Diamond has been on my radar for a long time now, and I keep hearing how fantastic it is. The subject matter is indeed interesting, but it was way too detailed. If the book was half the length, I probably would have finished it. The main question the author explores is why certain civilizations developed technology and sophisticated weapons and why others didn't. One of his answers has to do with adopting food production, rather than hunting and gathering, and so a large part of the book is the entire history of agriculture in the world. I appreciate that he is trying to be thorough in his analysis, but it was just more than I was ready for. 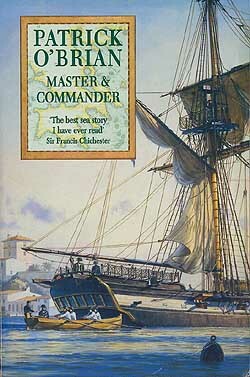 I have long been curious about this series of seafaring novels from Patrick O'Brian but they never sounded appealing enough to try until I read this review from Shelf Love which emphasizes the personalities of the main characters and acknowledges that it's ok not to understand the nautical terminology. This made me feel better about trying it, and I did actually enjoy what I read of it. It's a slow-moving novel though, and after 80 pages I believe the ship was just leaving port. In other circumstances I probably would have kept going, but I simply got distracted by other books. It's ok though - I'm glad I got a taste of O'Brian's writing. You may be better off with the televised version of guns, germs and steel? I found it interesting and I think it was maybe 6 hours total? I've read the first two of the naval books and found them interesting. Haven't gotten to number 3 yet though. Aren't there something like 18 of them? I didn't realize there was a televised version - great idea! Yes, there are a ton of books in the Patrick O'Brian series.